Last month, Gov. Arnold Schwarzenegger mentioned in a TwitVid that he plans to sign some of the state's surplus cars and open them to bids. You may have missed that part of the video, possibly because you were distracted by the enormous knife in the governor's hand. Well, he was serious, and it's time to celebrate for anyone who has always wanted a 2001 Ford Focus signed by Schwarzenegger. The Focus and other stuff the state no longer wants will be available at the Great California Garage Sale. The sale is scheduled for Aug. 28 and 29 at the Department of General Services’ Surplus Property Warehouse in Natomas. Some of the items are available for bids on eBay. Other items are posted on craigslist. There are 16 vehicles -- all signed by the governor -- listed on EBay. If the 01 Focus isn't your style, upgrade to the 2002 Crown Victoria. Other vehicles signed by the governor include a 1997 Ford Taurus, 1998 Chevrolet Cavalier and an eight-passenger van. 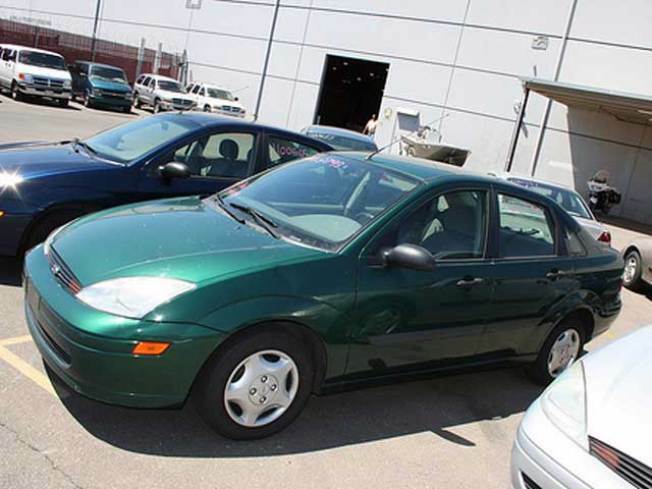 Bids on EBay Tuesday morning ranged from $510 for the Taurus to $5,500 for a signed 2003 Honda Civic hybrid. Not in the market for a used vehicle? A FoodSaver home packaging system -- it can vacuum pack meat -- is available on EBay. You'll also find seized jewelry. The state listed cell phones, furniture, computers and other items on craigslist.